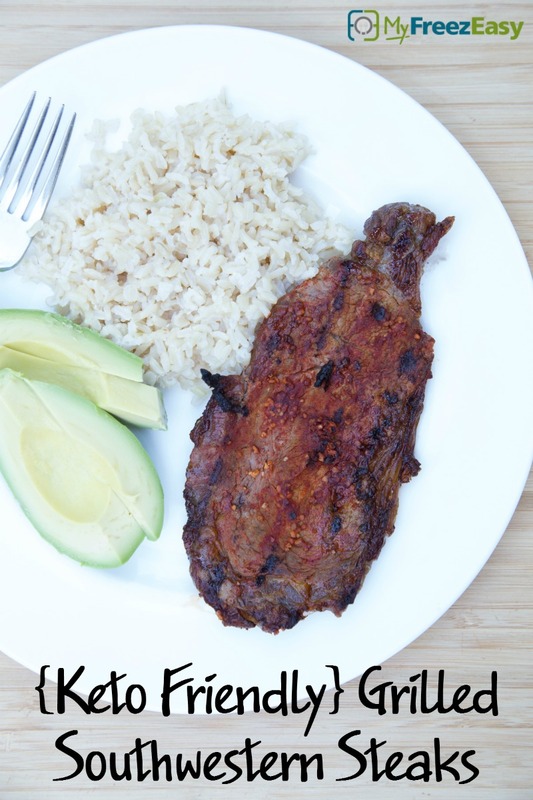 Delicious grilled steak, made with homemade keto-friendly marinade. Be sure to serve with keto-approved sides, like cauliflower rice. Add the steaks to a shallow baking dish. Grill the marinated steaks for 5 minutes on each side, or until cooked to desired temperature. 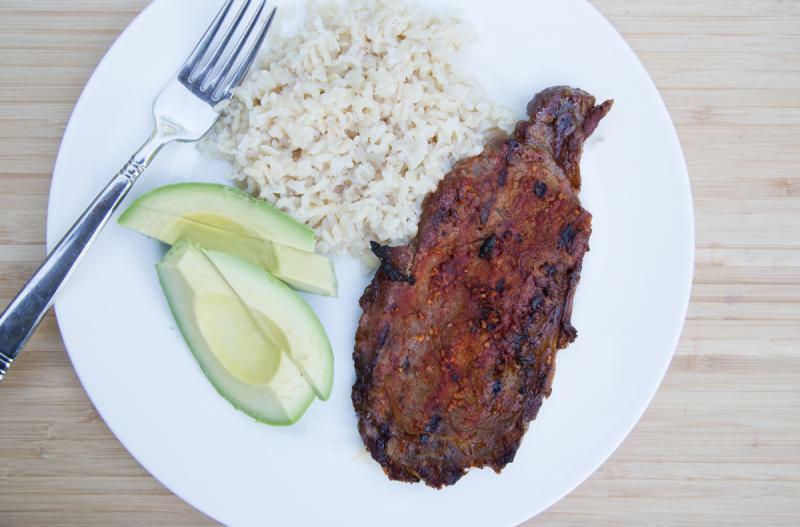 Serve Grilled Southwestern Steaks with rice and avocado. In a small bowl, whisk together 1/2 cup lime juice, 4 Tbsp olive oil, 6 tsp chili powder, 4 tsp minced garlic, 2 tsp crushed red pepper flakes and some salt and pepper. Put baggie in the freezer and freeze up to 6 months in fridge freezer or 12 months in a deep freezer. Thaw completely in the fridge before grilling the steaks. Thaw steaks in the fridge, then grill to desired temperature. Serve with cauliflower rice and avocado.